Check out these other blog posts to chart your academic career. 1. Does it align with your goals? Make sure you have a clear concept of how a minor can help you achieve your goals. Don’t add a minor as an afterthought or “just because,” especially if it could throw off your graduation schedule — which will cost you more money and time. Learn how to create a more sustainable energy future by adding on any of our three energy minors. Add a classical civilization minor to your history major in preparation to study ancient cultures in graduate school. Complete a minor in hydrology if you are a geology major to find a job working on water issues in California. Prepare to become a teacher with an education minor. Consider a minor in statistics or applied computing and information systems so that you are prepared to analyze data, an important skill in today's workplace. Minor in psychology or human development to learn how to better work with future patients as a health professional. Global disease biology is another great minor for pre-health students preparing for careers in public health. And, of course, a professional minor like contemporary leadership, professional writing or communication would be helpful, no matter what job you’re looking for. 2. Did you decide early enough to graduate in time? If you plan ahead, fitting a minor in with other requirements is entirely possible. Your General Education classes, units toward graduation or required upper-division units could all be focused toward a minor. If you have a major that is heavy with requirements and you decide to add a minor, fit it into your academic plan more easily through Summer Sessions coursework. Classes for many minors can be taken then, including ones for the popular technology management minor sponsored through the Graduate School of Management. You can even incorporate study abroad and get a minor included on your degree. The global and international studies minor — sponsored by the Study Abroad office — is designed to complement your academic experience abroad. 3. Have you considered non-minor possibilities? A minor could be more trouble than it’s worth. If you’re hoping to learn something new that could be accomplished with just one or two classes, the other three or four you would need to take to complete a minor might end up being a distraction from your other commitments. You will likely find participating in research, completing an internship, getting a job or studying abroad more worthwhile — and better aligned with your academic and career goals. If you like this idea, check out the Undergraduate Research Center, the Internship and Career Center or Study Abroad. 4. Do you understand the rules for graduation? Certain academic policies may limit your ability to add a minor. All your academic requirements have to fit within the unit cap for your college: 225 units is the total you can take unless you are a student in the College of Engineering, which has no unit cap. If you’re close to the end of your college career, it might be too late to fit in the classes and prerequisites required for a minor (check with your advisor if you’re unsure). Also, you’re only allowed to count one class toward both your major and minor — and if you have more than one minor, there’s no overlap of credit allowed between your minors. With the many ways to stand out when applying for jobs, graduate school or professional school, having a minor could be one of them. Taking on the challenge of several extra upper-division courses shows that you are determined, take initiative and can handle the additional workload. That passion reflects well in the workplace. While it may sound like a cliché to support the idea of a minor because “it looks good on a resume,” there’s some truth to that saying. A minor can become a talking point in an interview when a potential employer sees that you’ve gone above and beyond to complete extra courses. Use your minor as an opportunity to talk about why you chose it, what you gained from the coursework and why your extra experience will make you a great candidate for the job. A final note: A minor won’t make up for deficiencies in your transcript and it won’t hold as much weight as a major, so make sure you get a minor for the right reasons. 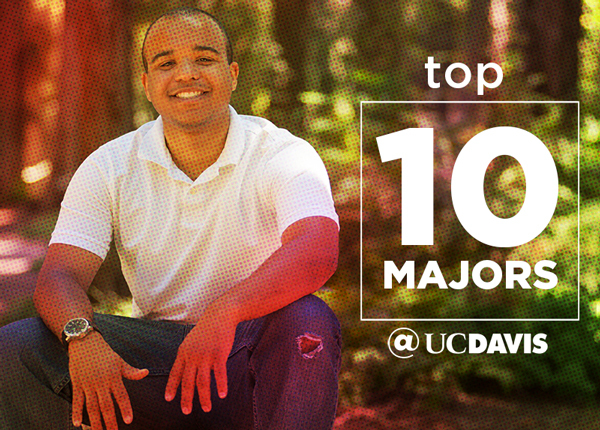 But, if you think a minor might be right for you, first research the full list of minors UC Davis offers. Then visit the academic advisor for that minor to find out more. In the meantime, check out how the “what if” feature on My Degree can help you plan for a minor. And don’t forget to submit your minor declaration form on our Online Advising Student Information System (OASIS) after you’ve registered for the last of your minor classes. Mandy Hanou ’13 is the major advisor for the Department of Earth and Planetary Sciences. She paired a communication minor with her human development major at UC Davis, and loved the chance to further explore how people relate to each other.